LONDON (AP) — Granted a Brexit reprieve by the European Union, British Prime Minister Theresa May urged lawmakers Thursday to pause, reflect on the need for compromise — and then fulfill their “national duty” to approve a divorce deal and take Britain out of the EU. But there is little sign the U.K.’s divided and exhausted lawmakers will heed the EU’s plea not to waste the six months of extra time granted to Britain at an emergency summit in Brussels. Updating the House of Commons hours after the 27 other EU leaders agreed to postpone Brexit until Oct. 31, May said she knew the country was “intensely frustrated” by the impasse. “I never wanted to seek this extension,” May said. She urged members of Parliament to take stock and “reflect” over a 10-day Easter break that starts Friday. Is it a trick or treat? 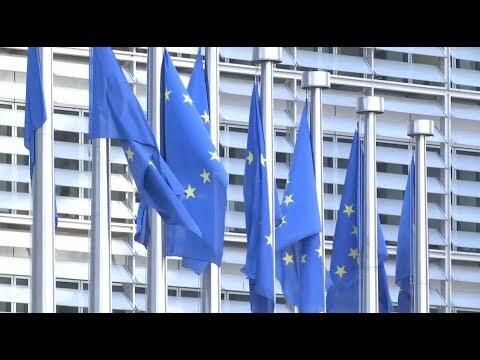 AP correspondent Jill Lawless in Brussels discusses the latest reprieve granted by the European Union to Britain over Brexit _ a six-month extension until Halloween. “The prime minister stuck rigidly to a flawed plan and now the clock has run down, leaving Britain in limbo,” Corbyn said. And there was little solace for May on her own side of the House of Commons, as pro-Brexit lawmakers from her Conservative Party accused her of capitulating to Brussels. Brexiteer Conservative legislator Peter Bone said May had once vowed that she would not keep the U.K. in the EU past June 30. “So I expect her to say when she’s leaving in the next few days and then the announcement of a Conservative leadership contest,” he said. May went to Brussels Wednesday seeking to postpone Brexit after U.K. lawmakers rejected — three times — the divorce deal she had struck with the EU. The bloc had already granted Britain a delay once from the original March 29 deadline. Last month EU leaders gave Britain until Friday to approve a withdrawal plan, change course and seek a further delay to Brexit, or crash out of the EU with no deal to cushion the shock. Economists say a no-deal Brexit could lead to a deep recession as tariffs and other barriers are imposed on U.K. exports and customs checks delay goods at British ports. EU leaders, weary of the Brexit melodrama and divided over how long a delay to grant, met for more than six hours before agreeing to postpone Brexit until Halloween. Britain has the option of leaving before that if May succeeds in getting a withdrawal agreement ratified by Parliament. “Please, do not waste this time,” European Council President Donald Tusk pleaded. Like many things Brexit-related, the extension was a messy compromise that left many unsatisfied. May came to the summit in Brussels seeking a delay to June 30. Some European leaders favored a longer extension, but French President Emmanuel Macron was wary of anything more than a very short delay. May said she was satisfied with the flexible extension to Oct. 31, which keeps alive her hope the U.K. might leave by June 30. May told the House of Commons — in an oft-repeated mantra — that passing an EU withdrawal agreement quickly would allow Britain to avoid taking part in European parliamentary elections set for late May, an unpalatable prospect to many Conservatives. With many pro-Brexit Conservatives refusing to back May’s deal on the grounds that it keeps the U.K. too closely bound to EU rules and regulations, the prime minister has tried to strike a deal with the left-of-center Labour Party. Talks over the past week have not made a breakthrough, though they continued Thursday, and neither side seemed willing to abandon them yet. It's a six-month reprieve for the UK: AP correspondent Jill Lawless discusses the European Union's extension of Britain's Brexit deadline, but says the crisis persists, with all possible outcomes still on the table. Labour, which seeks to retain close economic ties with the EU after Brexit, accuses the government of failing to offer concrete changes to its Brexit blueprint. The party also fears any promises made by May could be undone by her successor, who is likely to come from the staunchly pro-Brexit wing of the Conservative Party. “If the government is serious, the red lines must move and we must see a real compromise,” Corbyn said. British businesses expressed relief at the Brexit delay. The Confederation of British Industry said it meant an “imminent economic crisis” had been averted for now. But the delay does not solve Britain’s Brexit conundrum. If May can’t win support from the Labour Party, she plans to ask Parliament to vote on several Brexit options. But lawmakers have done that before — and ended up rejecting everything on offer. Pro-EU campaigners argue that politicians have failed and the next few months should be used to hold a new referendum on whether to leave the EU or remain. “Whatever the choice of the British people & Parliament, I hope the #Brexit nightmare ends well before Halloween,” he wrote. Associated Press writers Raf Casert, Mike Corder and Angela Charlton in Brussels, Danica Kirka in London and Sylvie Corbet in Paris contributed to this report.